interactive Google maps, which you can use to find directions, among other things. In an emergency, contact the police using 999. As an alternative to dialling 101, you might want to call the police using their full non-emergency numbers. Note that some forces (such as Derbyshire Police) say that these numbers are “for the exclusive use of overseas callers only”. But the College of Policing disagrees, saying the full numbers are listed “if 101 is not yet available in your area”. For your convenience, we list the full non-emergency numbers with each police force’s details. Click on the links above to jump to the area which interests you. You can use the interactive Google maps to search, zoom, and get directions to police force headquarters for every force in England and Wales. There’s information on the forces shown below the maps. Come back to this list by clicking “Back to list of police forces” at the end of each section. Many people live in border locations between two forces. You can zoom in the maps to see if that includes you. If you are still in doubt, we show information for each police force, including some locations served by them and a website link. Click on the map above to zoom in or move around the area. The South East of England has the highest number of police officers in England and Wales. Click on the forces below to read more about them. Non-emergency phone number (alternative to dialling 101): 020 7230 1212. You can contact the Metropolitan Police Service online by clicking on this link. The City of London Police force is responsible for policing within the 1.1 square mile district of the City of London, Middle, and Inner Temples. By contrast with the Metropolitan Police Service, it is the smallest territorial police force in England and Wales. You can find more information about the City of London Police here. Non-emergency phone number (alternative to dialling 101): 020 7601 2222. This police force is unique in that it has a station outside of the UK, in Coquelles, France. and other towns and villages. It is responsible for 1.6 million people. Non-emergency phone number (alternative to dialling 101): 01273 470 101. Contact Essex Police online here. Contact Hertfordshire Police by clicking on the link. Thames Valley Police force covers the counties of Berkshire, Buckinghamshire, and Oxfordshire. It is one of the largest territorial forces in England, covering 2,200 square miles and a population of over 2.1 million people. Contact Bedfordshire Police online using this link. Hampshire Police force is responsible for policing Hampshire and the Isle of Wight in South East England. Contact Hampshire Police online here. Click on the map above to zoom in or move around the area. Click on the force names below to read more about them. Devon and Cornwall Police cover the largest geographical area of any police force in England. The force is responsible for Devon, Cornwall, and the Isles of Scilly. Devon and Cornwall Police website contact form. Click here to contact Avon and Somerset Police using the force’s website. and other places in Dorset. Contact us page on the Dorset Police website. Contact Wiltshire Police via the force website here. Contact Gloucestershire Police via the force website here. Gwent Police website contact us page. South Wales Police is the largest force in Wales by population. It is the seventh largest in the UK. and other places in the region. South Wales Police contact us page on the force website. Contact page on the Dyfed-Powys Police website. West Mercia Police contact us page on the force website. Contact North Wales Police using the force website by clicking on this link. Contact Warwickshire Police on the force website here. West Midlands Police contact page. Contact Staffordshire Police online by clicking here. Derbyshire Police contact us page on the force website. Contact us page on the Cheshire Police website. Contact Merseyside Police on the force website by clicking here. Contact Greater Manchester Police on the force website here. Contact Lancashire Police on the force website. Northamptonshire Police website contact page. Click on the contact link here to go to the Cambridgeshire Police website. Contact Suffolk Police on the force website. Contact Norfolk Police on the force website here. Leicestershire Police website contact us page. Lincolnshire Police website contact page. Contact Nottinghamshire Police via the force website here. Contact Humberside Police on the force website here. Contact South Yorkshire Police online here. Contact West Yorkshire Police on the force website here. North Yorkshire Police website contact page. Contact Cleveland Police on the force website here. The Durham Police website contact page is here. Contact Cumbria Police online here. Contact Northumbria Police on the force website here. British Transport Police is a national force which polices railways and light-rail systems in England, Scotland, and Wales. It also works with the French police to cover international services provided by Eurostar. It covers about 10,000 miles of track and more than 3,000 railway stations and depots. The force deals with six million passengers a day. Contact British Transport Police on the force website here. The Civil Nuclear Constabulary provides law enforcement and security at or within 5km of any relevant nuclear site and for nuclear materials in transit in the UK. You can also contact the Civil Nuclear Constabulary on the force website. The Ministry of Defence Police is a civilian police force, not military police. Its primary role is to police the Defence Estate throughout the UK. Contact the Ministry of Defence Police on the website here. Contact us if you have been a victim of police misconduct. Donoghue Solicitors specialise in civil actions against the poilce. We can help you sue any police force in England and Wales. Click here to read about how we helped clients sue the police throughout the UK. 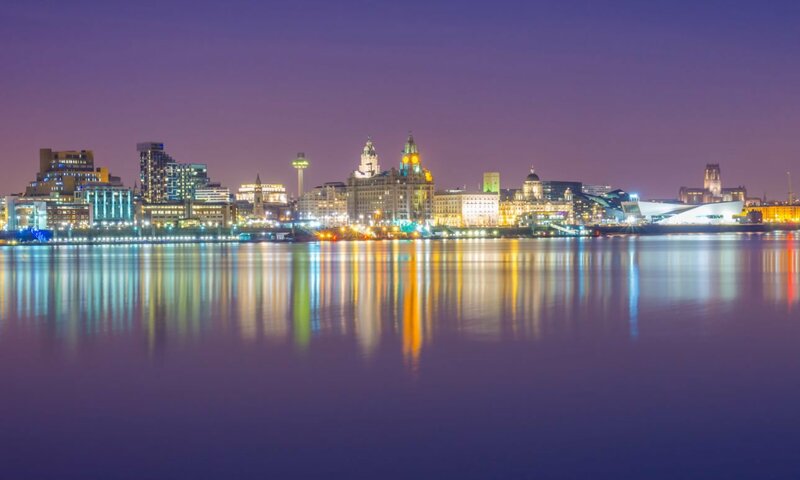 Our head office is in Liverpool. If you prefer to meet in person we can see you there, or by prior appointment in London, to help you get the justice and compensation you deserve. Map of police forces in England and Wales. Click to enlarge. The maps we show here are based on files published by the Home Office and contain public sector information licensed under the Open Government Licence v3.0. Donoghue Solicitors claims no ownership of the data or responsibility for errors.